This dress is made at knee length as standard. 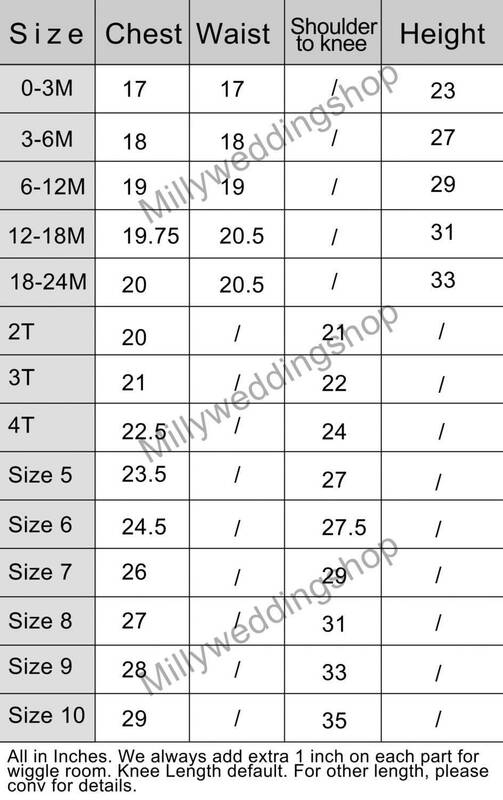 Custom order is welcome for different length! 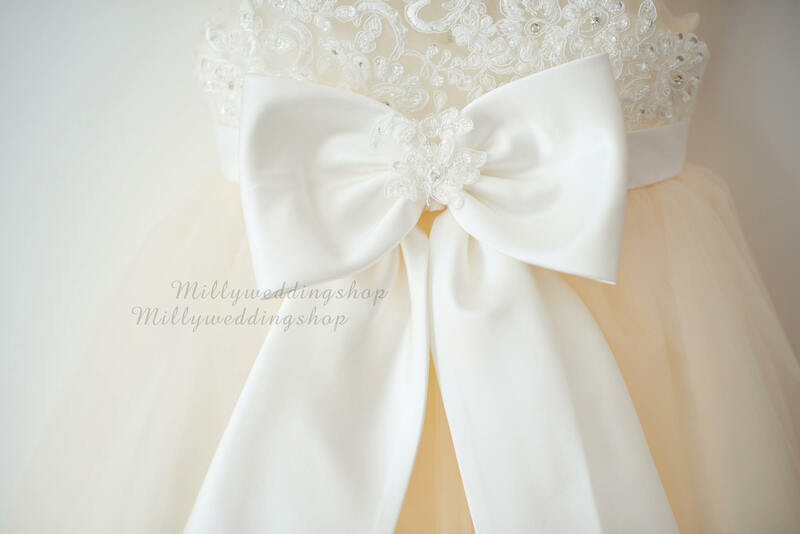 The bow can be placed in the front or on the back. Please specify the bow position when ordering. 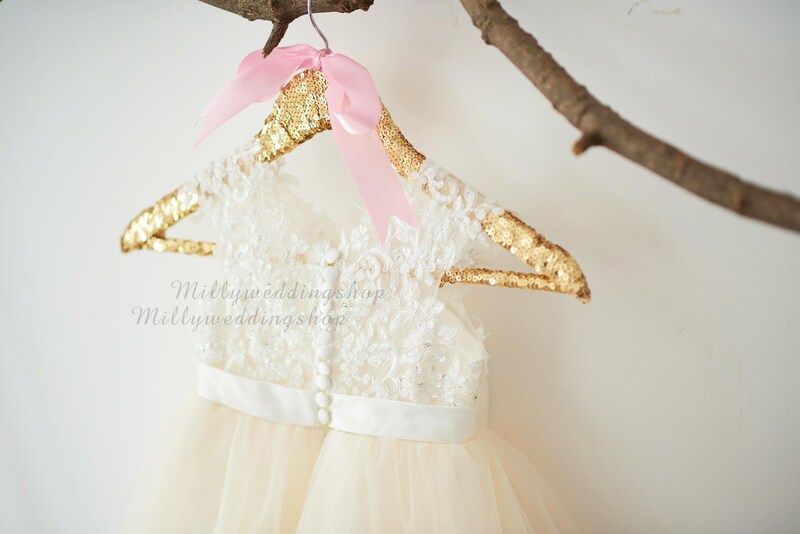 The dress was beautiful and the seller is amazing and very responsive. 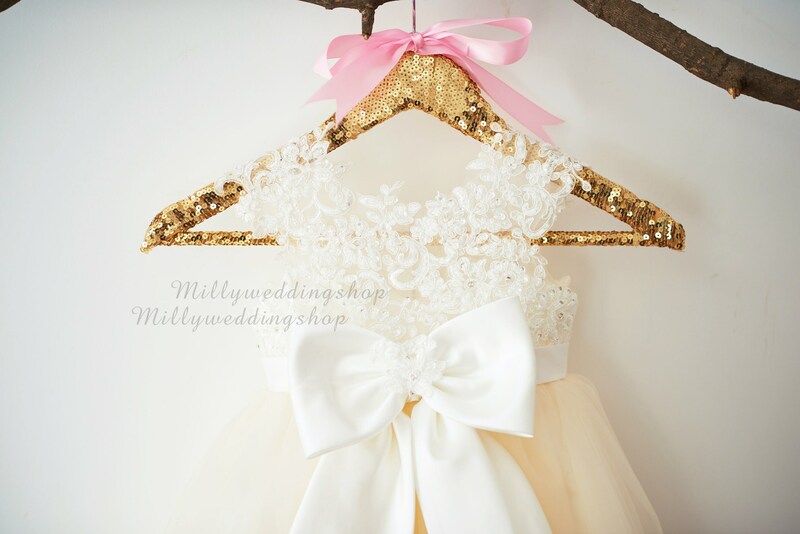 Beautiful Dress Adore it! My Flower girl is so going to upstage me !